There is nothing I love more than gathering people together. Giving others the chance to exhale and rest and be immersed in beauty is truly my favorite thing. We pour our hearts into creating beautiful classes and events that invite you to pause, be inspired and truly connect. We’re constantly adding dinners, workshops and classes both here on our farm and in our community. Below you’ll find our current class offerings. Take a peek at what’s on the schedule, but be sure to check back often; our events sell out quickly! Take a peek into life on the farm, community gatherings, past workshops, and farm events! The community came together to host a “freedom dinner” which raised funds for the fight against human trafficking. It was a beautiful night of community, fellowship, and feasting. 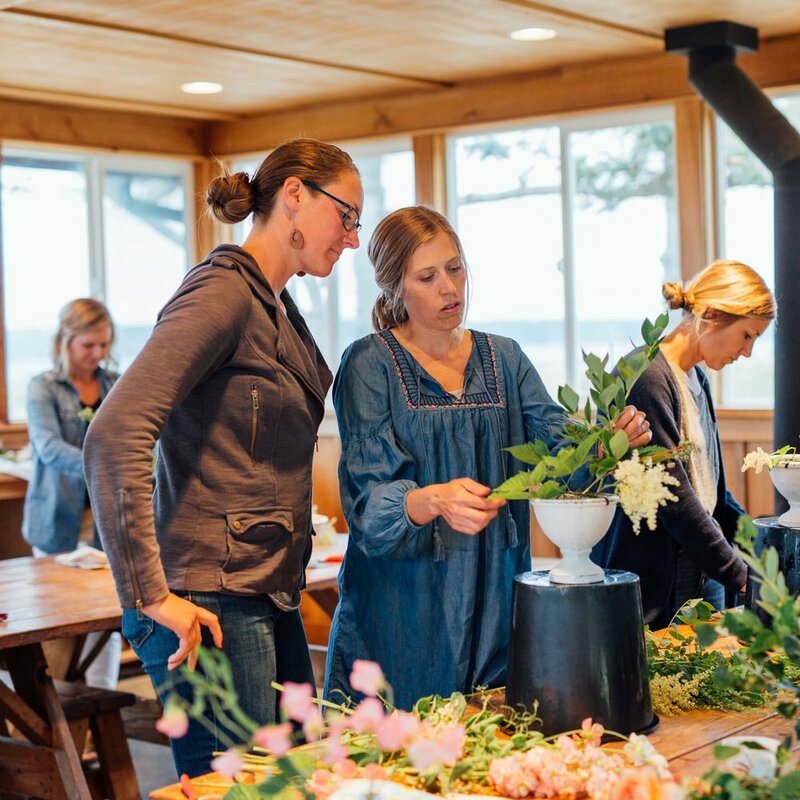 Images from wreath, centerpiece, and floral crown workshops. Farm sweethearts Deanna and Shane celebrated their anniversary with a farm dinner and photoshoot, in collaboration with designer Erin Land of Land Floral and Seattle photographer Adrien Craven.